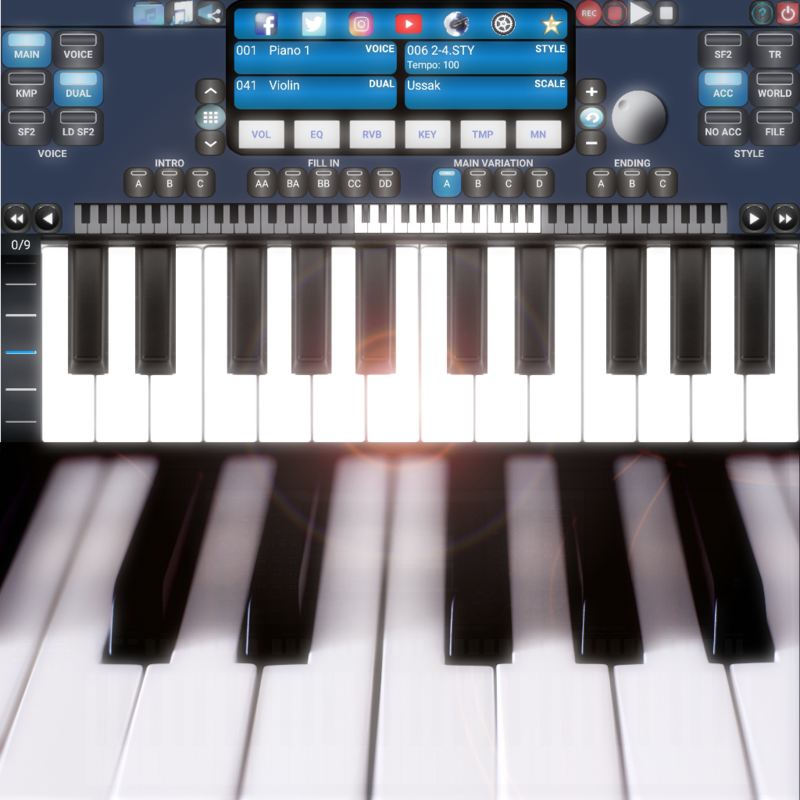 Soundfont KMP Piano allows you to play piano, Soundfont (Sf2) instruments and KMP (Korg) instruments. Enjoy realistic high-quality instruments on your tablet and phone with Soundfont KMP Piano. You can play styles (rhythms) while playing instruments. You can record your own music with Soundfont KMP Piano allows you to accompany a song in your device library. You can record and mix instruments, rhythms, playback music and microphone sound. You can adjust the quarter notes using the Scale/Maqam menu. You can tune the quarter notes between 1/9 and 9/9 of a full note. You can play all music maqams in Arabic, Turkish & Greek music. You can load and save scales. You can play YAMAHA STY and MIDI accompaniment styles with variations.